The activity of our association is not limited only to the Engine Shed. On 23rd October three of our members took part in the 6th Conference on Railway History in Rybnik “Coal, politics, steel, people. Railway in the life of Silesia”. 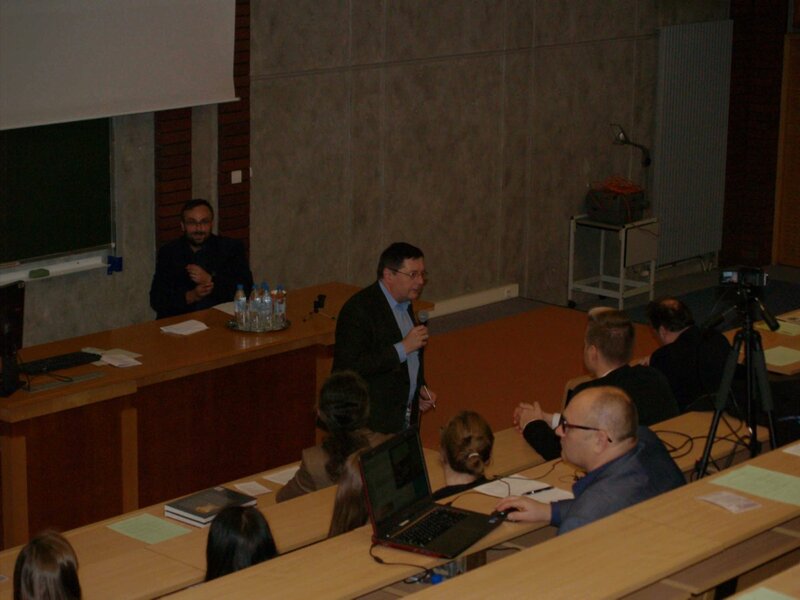 It was organized by the Museum in Rybnik in cooperation with the faculty of Business, Finance and Administration of the Economic University in Katowice. During the conference, Judyta Kurowska-Ciechańska presented the co-authored by dr Ariel Ciechański paper “Selected aspects of beer transportation by rail in Silesia”. Paweł Mierosławski presented the paper “Aspects of preservation of historical railway telecommunication objects”. The last paper, “Development and decline of industrial railways in Silesia” was presented by dr Ariel Ciechański, our colleague and a representative of the Institute of Geography and Spatial Planning of Polish Academy of Science.